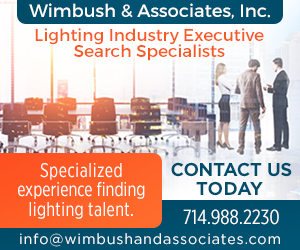 Are you recruiting for lighting talent? "You guys are the best! Thanks so much. We had a strong response to the CEO ad and are looking forward to great candidates for these two positions as well."